How a production site in Indonesia reinvented itself and successfully changed its safety culture along the way. Even after almost 22 years, Ka Fung remembers all too well the day that changed his mind about personal safety. He had just started working at Clariant’s production site in Tangerang, about 25 kilometers west of Jakarta, Indonesia’s capital. He was hired as a maintenance engineer straight out of college. »It was my first job after leaving school and I was probably a bit too eager and carefree«, he admits. While working on the shop floor one day he stood up abruptly and banged his head on a metal rod. »I wasn’t wearing my helmet, and the hit nearly knocked me off my feet«, Ka Fung remembers. »I didn’t need stitches or anything, but it did bleed and certainly left a mark.« What Ka Fung realized then and there was how even small lapses might hurt you when you least expect it. »There wasn’t really anything that could have fallen on our heads at the time, so I felt no need to wear a helmet. But safety is never just about your own risk assessment in the moment or the dangers you can easily foresee«, he says. 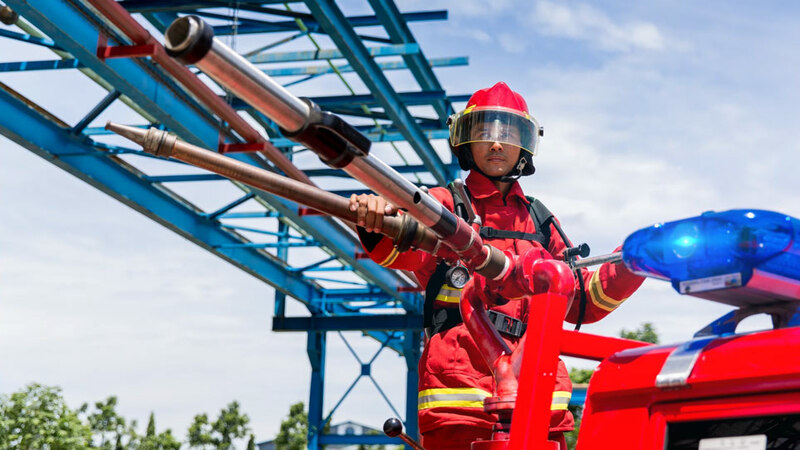 To be prepared for any emergency the Tangerang site’s fire brigade performs weekly drills. The last so-called Lost Time Accident (LTA) of a Clariant employee or a contractor at the Tangerang site happened seven years ago. A LTA is an accident on the job that results in an employee being absent from the workplace for at least one full workday. 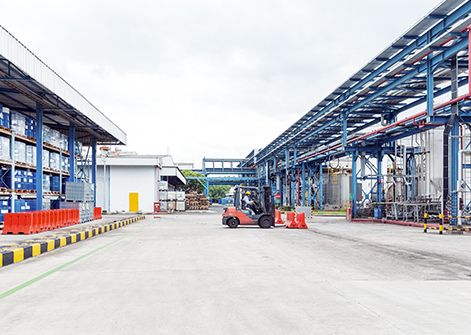 Clariant’s site in Tangerang is special in several ways. It’s the company’s largest site in Indonesia and its headquarter in the country. 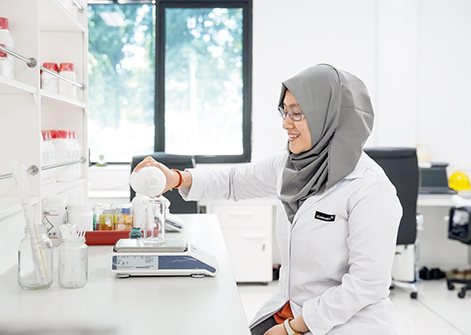 In all, Clariant’s Business Units run six production sites and a couple of offices across three of the major islands, Java, Sumatra, and Kalimantan. Of the 700-plus people Clariant employs in Indonesia, more than a third work in Tangerang. Today, it is run as a multi-user site. That means it’s home to several Business Units of Clariant as well as other companies. 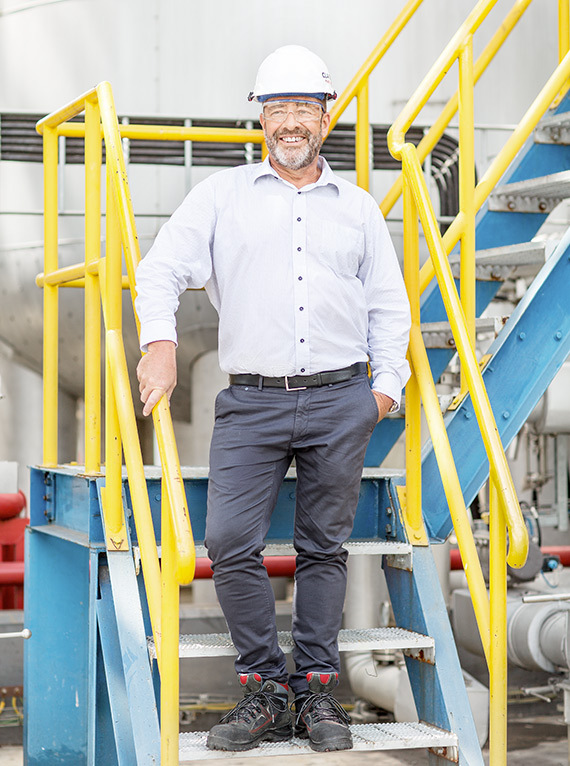 The site and its main operation, however, are run by Clariant’s Industrial & Consumer Specialties Business Unit (ICS) which produces specialty chemicals and application solutions for consumer care and industrial markets. The active ingredients in conditioners are one example. Growing consumer markets in the emerging economies of Southeast Asia are driving demand. Indonesia is one such market. As the world’s most populous Muslim country, it drives trends in other ways too. It’s no coincidence that Tangerang specializes in products that rely on palm and coconut fat rather than tallow. The site recently received its halal certification under Islamic law, opening up a growing market of home and personal care products catering to devout Muslims. In 2017 Clariant Indonesia also received the Responsible Care™ Platinum Award honoring outstanding performance in terms of sustainable business practices. According to the auditors Clariant scored 98 out of 100 possible points, the highest rating among the more than 50 participating companies, most of which were multinationals. The Responsible Care™ Award is part of a 1985 charter by the global chemical industry promoting sustainable business practices. It is the first such platinum award given out in Indonesia in five years. Earlier in 2017 Clariant Indonesia received special recognition by Responsible Care™ Indonesia for outstanding performance in chemical transportation and distribution safety. Changing minds requires a lot of effort and understanding. 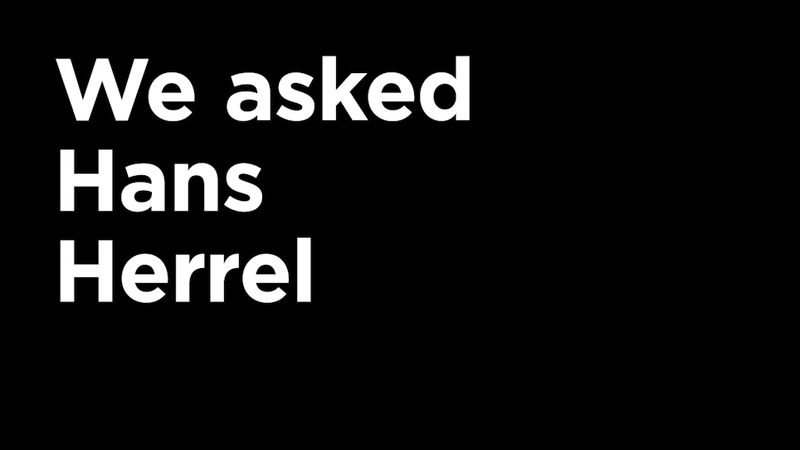 Herrel knows a thing or two about that. He has spent most of his life working to improve and manage operations in Southeast Asia, be it in the Philippines, Singapore or Indonesia. In 1986 he was hired and trained explicitly to do just that. »Back then the company was desperately looking for engineers to improve operational standards at its sites outside of Europe«, Herrel says. As a student in Kaiserslautern he had spent his semester breaks working as a ski instructor and tour guide for American tourists. »So my English was pretty good, at least for a German engineer in the 1980s.« However, working with local teams and then trying to fundamentally change the way things are done is something he had to learn on the job. Since 2016 on average 4 safety workshops have been held each month at the Tangerang site. 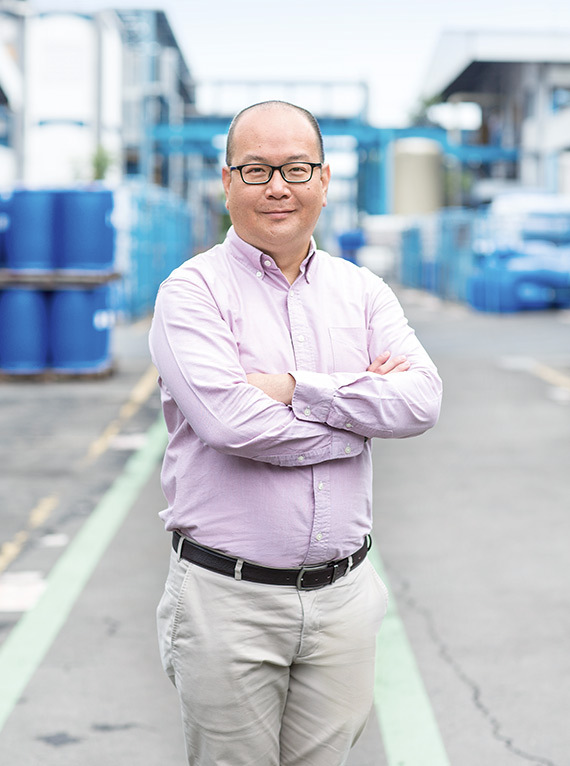 Clariant's production site in Tangerang, Indonesia has been recognized for its outstanding performance in terms of sustainable business practices and safety. In 2014 a global reporting system was put in place. Since then 2 439 near misses or potential accidents have been reported. The changes at Tangerang are evident, and they’ve drawn attention. In 2017 Tangerang was awarded the Phoenix Award, recognizing the site as the biggest improver in terms of safety across all of Clariant. As the name Phoenix suggests, the award honors improvement rather than absolute performance. In its valuation, the jury mentions specific changes as well as previous shortcomings. »We’ve come a long way«, says Herrel. His staff seems to agree. In 2017, Clariant was recognized as the region’s best employer in an independent survey by Aon, a consultancy. »But we’re also well aware that our work towards better safety and accident prevention is never done«, says Herrel. A sad reminder of this came in 2017, only a few months after the award for Tangerang, with a fatal accident at another site in Indonesia. An employee died after a stack of bulk containers collapsed on top of him. »The police have investigated the incident and found no wrongdoing. But it sadly shows that there’s never a time to relax in our efforts«, Herrel says. There’s always a lot to learn and to improve. Tangerang may very well turn out as a model for other sites. 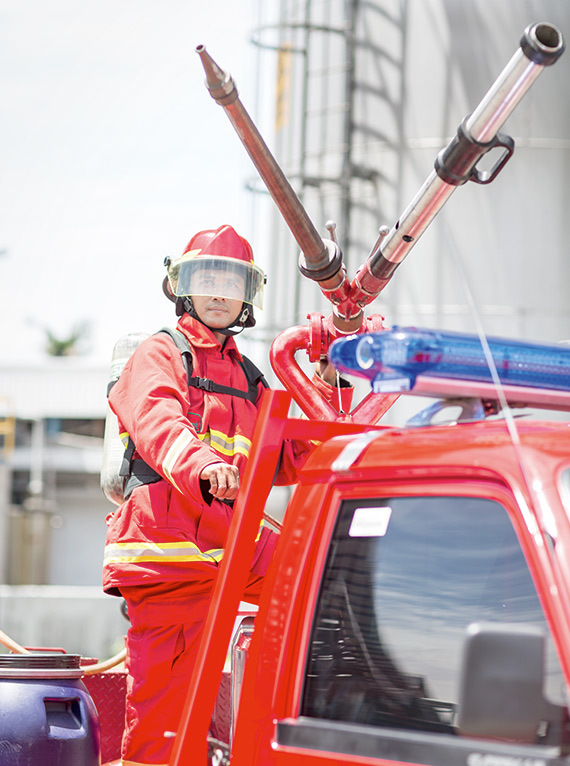 As both Herrel and Ka Fung know, improving safety is about staying vigilant. It’s about dealing with risks both obvious and unforeseen. And it almost always starts with changing minds and getting new ideas into people’s heads. Preferably without bumping them.